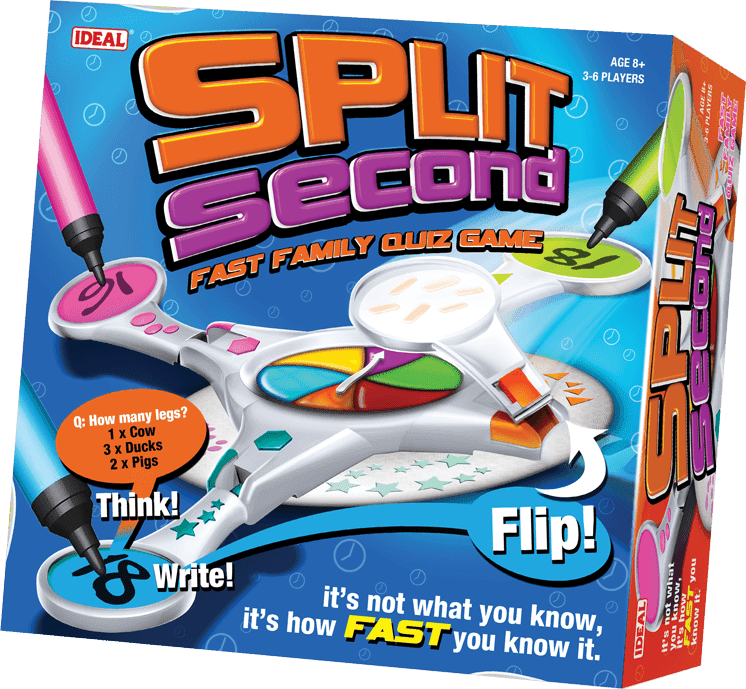 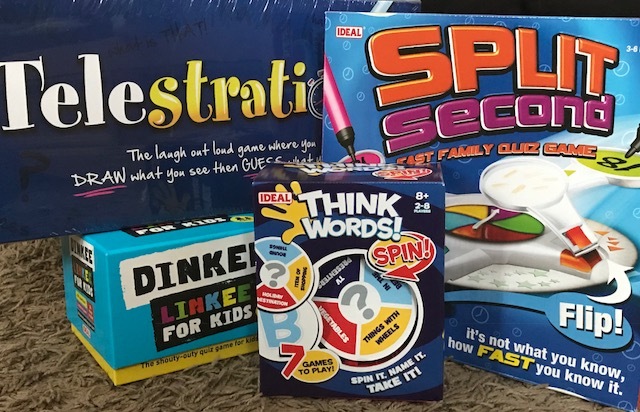 With the winter months now upon us, we find ourselves staying in a lot more and what better way to spend some quality time with the family then spending the evening having a games night, we were delighted to test our knowledge with these fun and entertaining John Adams Ideal games. 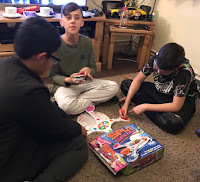 We love playing games so we couldn't wait to settle in for the evening and test our skills. 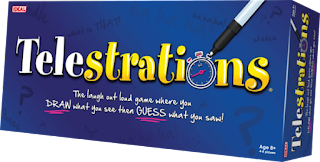 The aim of the game - to have lots of fun, Draw what you see and then Guess what you saw, players simultaneously sketch and pass along their sketch and it's up to the next player to guess what they see. This hilarious game is unpredictable and lots of fun. 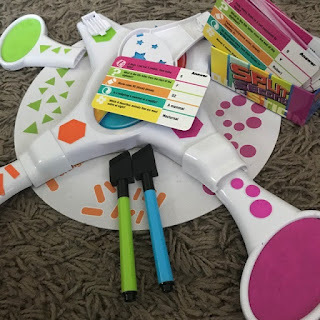 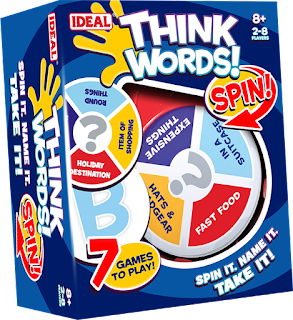 Spin It, name it, Think Words Spin has 7 different game options to choose from. 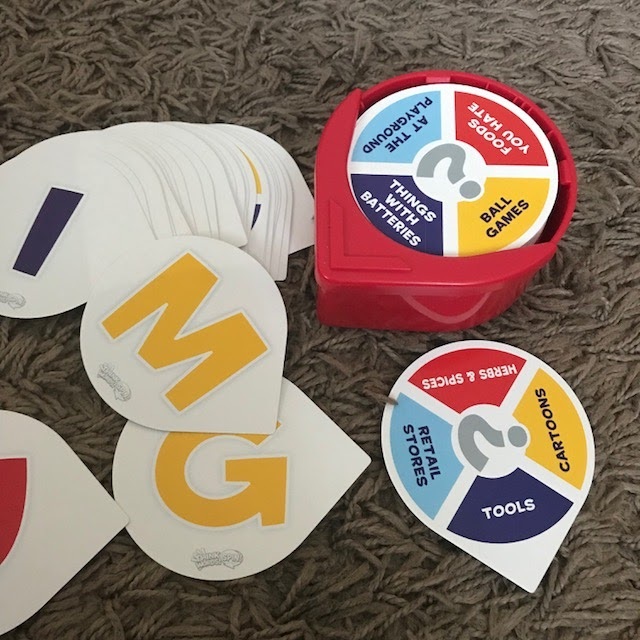 We like playing the game where you place 6 letter cards around the spinner and spin, you then have to be the first player to name something beginning with the letter the spinner points to, in the category that matches the letter colour, its great fun and means you have to think fast, the person who names first then gets to keep the cards and the player who has the most at the end wins. 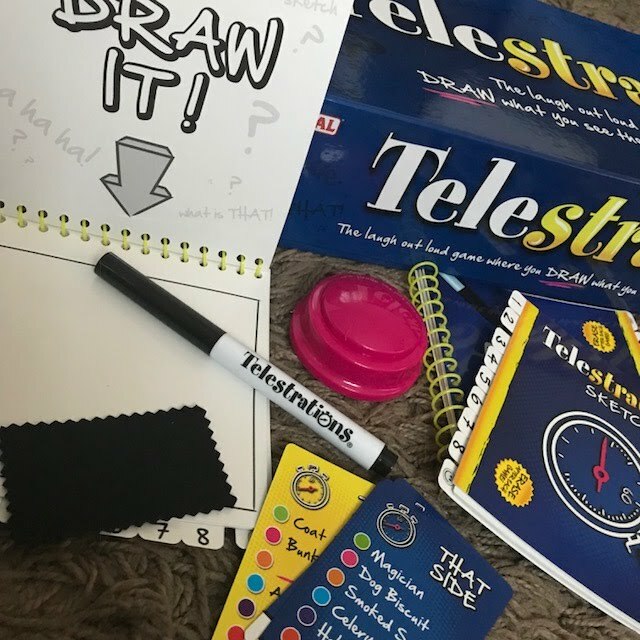 This has to be one of our favourite games and its all about shouting out and lining the questions, an easy play game which is simple to learn. 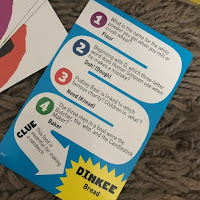 Simply answer four questions and work out what links all of the answers. 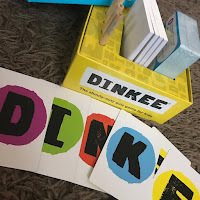 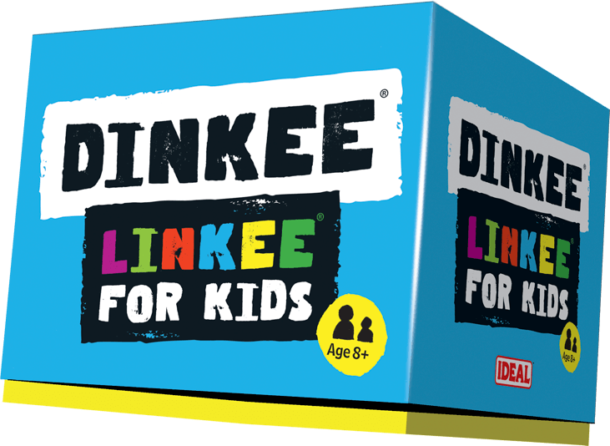 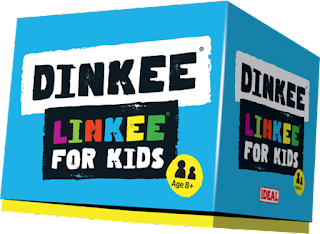 Then shout DINKEE, the person who guesses correctly wins the card, and the first player to spell out DINKEE wins the game. 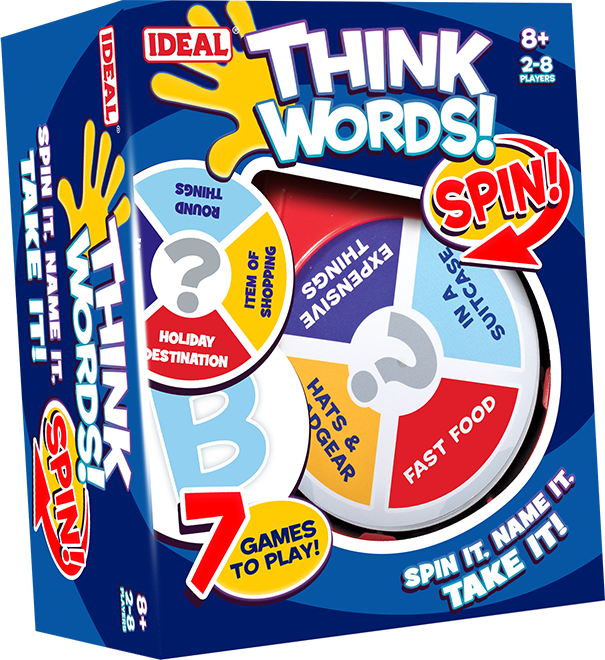 For these games and more check out www.facebook.com/IdealGamesUK.